I really miss shooting my bow. Like, a lot. Like, it’s just sitting in my closet collecting dust. Yet I hear it calling my name. But I don’t have the time to answer. But if I did, I wouldn’t just jump back into shooting a bunch of arrows at once. You see, I shoot a 38lb bow. I have terrible upper body strength unless I practice. And I have to practice a lot if I am to hit the bullseye 3 times like what is pictured above. 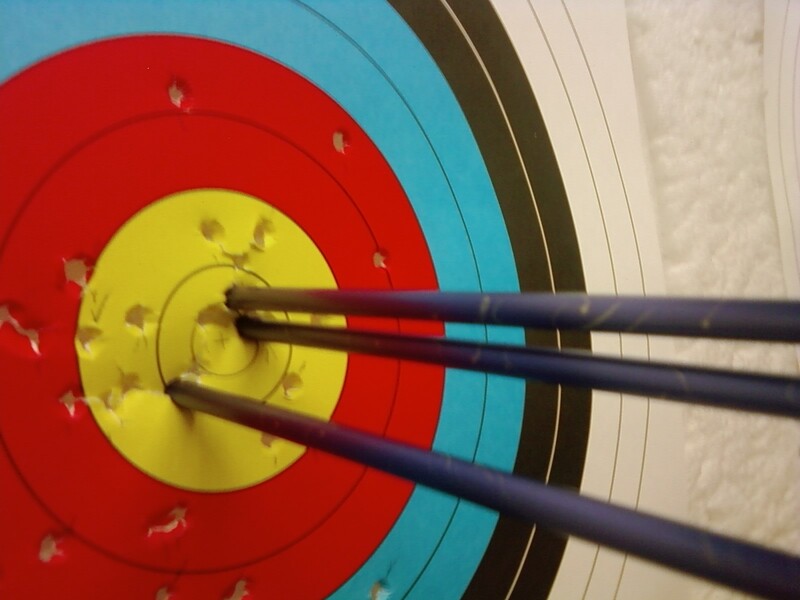 Ultimately in archery, you want to be hitting the bullseye because that nets you the most points. And to hit such a small target from a distance is a testament to one’s strength, skill, and focus. A measure of success, for sure. But, we live in a crazy world. There are some of those out there that would say that I should redefine the meaning of the bullseye so that any time my arrow hits the target, it is a bullseye. That’s ridiculous! That’s cheating! You can’t just…change what the bullseye is just so you can score a 10 to to say “hey, I’m doing better!” The Olympics committee wouldn’t find that acceptable! That wouldn’t fit in with how they have defined the bullseye in order to win a gold medal at the summer games! Something to think about. And I love archery.